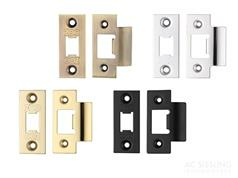 Heavy Duty tubular mortice latches (double sprung) with 8mm follower. 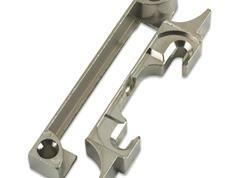 45 degree follower travel - suitable for knobs or levers. Pierced East-West for levers on rose with bolt-through fixings. Supplied with Square SSS forend and strike plates. For other finishes and forend shapes please see below. Rebate conversion kit (13mm) also available - Please see linked item below. Extended tongue strike plates for deep frames also available - Please see linked item below.